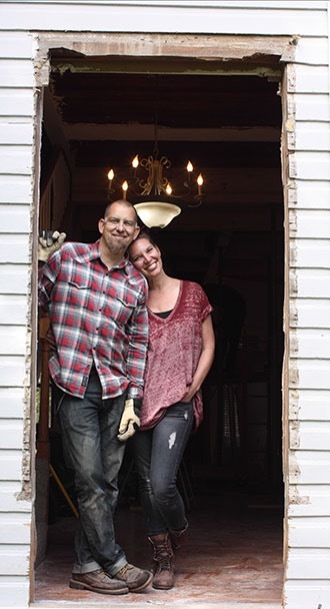 In what feels like a once-in-a-lifetime opportunity, we filmed an 8-episode series for HGTV called "My Big Family Renovation" in which we renovated a 1908 farmhouse on an acre in our little downtown Buda. For five months, we turned a two-bedroom, two-bath house with an unfinished attic into the cutest five-bedroom home you've ever seen in your life. It was as insane as you think it was. Brandon and I lived in the detached garage apartment (I'm playing fast and loose with the term "apartment" here), the boys lived in an RV on the back of the property, and the girls lived in whatever room wasn't currently demolished inside. We had no heat, no kitchen, no living room, no closets, no privacy, no clean surface, and no idea what we were doing. We laughed and slogged our way through a massive renovation and ended up with a precious farmhouse with an industrial flair. We also ended up with 12 chickens, but that is another story. The whole experience was a complete blast, and we feel incredibly grateful to our team, our crew, and the entire staff at HGTV for inviting us into such a rare, special project! 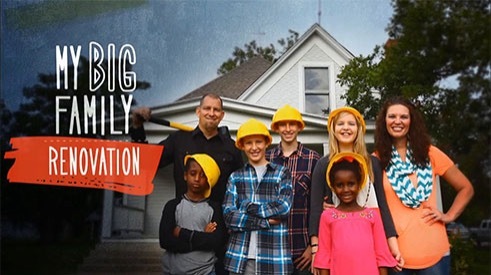 The show is called "My Big Family Renovation" and it airs on HGTV on Thursdays starting August 7th at 10:00 & 10:30pm CT.